I’ll admit that I do get a kick out of something a little strange when it comes to playing flight simulator games. Everyone knows just how (seemingly) infinite the replay and entertainment value is in these types of games; you can fly anywhere in the world, land in over 25,000 airports and can choose from literally hundreds and hundreds of aircraft to pilot. Keeping that in mind it does come across a little odd when I share with my friends and family who are also flight simulator game lovers that part of the experience I get the most enjoyment (and the most laughs,) from is recording and watching my most epic crashes! You’re certainly not wrong there; crashing can be a nightmare, especially when you’re just learning the ropes of a new sim and it feels like you’re never going to master the aircraft you want to fly. Trust me though, if you’re willing to have a chuckle at your on-screen mistakes then you’ll begin to notice how truly ‘Hollywood’ a lot of the ‘crash and burn’ scenarios can be! A lot of the best flight simulator titles now offer recording your flights and saving them for viewing later on. This feature is obviously included to help you study your previous journeys in order to hone your craft and become a better virtual pilot. You shouldn’t look past the temptation to use this feature for a bit of a chuckle, however, if you do end up falling unexpectedly out of the sky. Nobody likes to put their foot in it and fail while out on a virtual flight, especially one that has been going for a while, but next time you find yourself in a tricky situation that doesn’t end the way you would have hoped, don’t just delete the resulting clip in anger; take a look and have a laugh or two. After all, it’s only a game...right? What are you like when it comes to unexpected and premature landings? Do you fly off (pardon the pun,) in a rage or do you simply accept (and perhaps even admire) the massive mess that you’ve managed to make? Take a minute to learn more about what flight simulator games allow you to record your flights in my links/resources page – click here now. Combat or Traditional - Which Flight Simulator Game Style Do You Rather? The whole flight simulator genre is a relatively small subculture when you compare it to other video game categories including shooters, role playing games and, of course, the hugely popular MMO section of the gaming community. Despite its popularity – which, considering you’re here on this site is not something I need to remind you about – it is still a rather small niche. That makes the fact that there is an obvious divide between flight simulator game fans even funnier in my eyes. 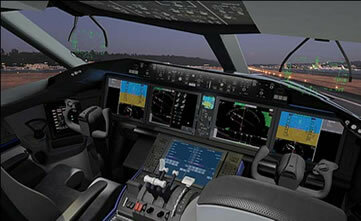 You see, there are a whole group of fans who love the traditional style of flight simulator; the accurate recreation of the controls and cockpits and the pin-point detail of the scenery. These are the flight sim fans who love the purity that the games offer. Then you have a slightly different breed of flight sim fans – hence the reference to another subculture – who are more into the new flight simulator games which, more often than not, often a whole bunch of multiplayer options and focus heavily on combat elements and mid-air dogfights in jets and army planes. Naturally there isn’t one side of the coin which is more valid than the other but I do always get a chuckle out of hearing some of my friends and colleagues argue about which style of flight simulator game is the champion. I’ve heard people argue until they were practically blue in the face about which title was the best flight simulator but it’s never gone much beyond that. In case you’re wondering, I’m probably more of a fan of the traditional standard of game play with a flight simulator; perhaps that’s because I like to just relax when I’m flying and the slower pace always me to switch my mind off to the outside world. I’m certainly not discounting how fun the combat element of the flight simulator genre can be either, however, because I’ve had some amazing multiplayer experiences with my buddies as well as other fans from around the globe. It’s entirely possible to support/adore both of the elements equally but I’ve found that most people tend to prefer one style above the other. Learn what flight simulator perfectly combines traditional and combat gameplay elements - read my links/resources page now! The Best PC Flight Simulator is Back on Sale! If you’ve been sitting on the fence about whether or not you’re ready to buy a new flight simulator game then perhaps it’s time you hopped off and climbed on over to the right side! I aim to offer a website/blog that offers all of the information anyone could need when it comes to 3D Flight Simulator games and although I offer all of these articles and posts for educational purposes, occasionally an offer too good to refuse does come along and I think it’d be unfair of me not to pass it on to you guys just like I do every other piece of flight sim news I find. Those of you who have visited my links/resources page already know the flight simulator that I’m currently playing/having a love affair with so there’s no need to repeat the name of that game here, however, it should be noted that the insane $165 discount that I’ve written about on this blog before that’s being offered by the game’s developers has actually been extended for a short period of time. I wrote a piece of two a while back about my thoughts on the best pc flight simulator and how newcomers to the genre might like to pick up the particular game that I am playing. At the time I noted that I had snapped it up when it was incredibly cheap and on sale (around 70% off of the original price,) although a lot of people wrote to me saying that they’d missed out on that offer. It is totally at the discretion of the developers as to how long they 70% off discount is back for, guys and girls, but for those of you who have emailed me in the past and asked if I could write up something if the offer even came back then well, this is for you. I know a lot of you might have missed out the first time around so if you’re in the market for a new flight simulator game then you should grab what I think is the best while its once again at a limited-time, low price. P.S. 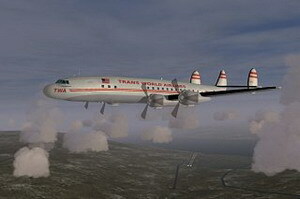 Get more insight into why this flight simulator game is one you need to play; visit my links and resources page now! A lot of people are quick to put out their opinion that the most important element to any flight simulator game is its graphics. It is a common belief that the crisp landscapes, bustling airports and vast skylines are what makes or breaks a flight simulator is terms of overall quality and replay value. I tend to agree that graphics and scenery certainly are really, really important to a flight sim – after all, no one wants to fly around in environments that look like they belong on a Sega Mega Drive – but if there is also a case to argue for another vital cog in the flight simulator machine and that is how realistic the in-game instruments are. Newcomers to the games might not really know or be able to tell the difference between a flight sim that has boxy, tacked-on controls that feel like they’re been lifted directly from a 1970’s arcade and a modern age simulator but those who have played before can tell the difference. The whole point of a flight simulator is to, well, simulate the experience of flying. The best flight simulators realise that the best way to get a player involved in the experience and to have them feel like they’re really a part of the action is to craft responsive, realistic instruments that behave just like their real-life counterparts. 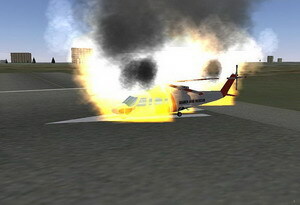 This is achieved by modelling the controls within a virtual cockpit on the legitimate instruments that exist in the real world. Cheap and ‘lite’ flight simulator games don’t pay any focus to this side of the game design and that’s why they’ll never quite live up to the standard of a paid flight simulator game as far as I’m concerned. The developers behind games like Virtual Pilot 3D have taken the time and applied a pain-staking amount of effort to ensure that when you’re in one of the planes featured in their title, you’re as close to flying as physically possible. Graphics are always going to be the first thing that people notice and comment on when it comes to any video game; that’s just the way that we operate. When you’re doing your research and looking for a flight simulator game that’s going to really impress you, then you should dig a little deeper and look into how detailed the in-cockpit designs are; that’s the true quality test in my opinion. P.S. Discover which flight simulator game boasts fantastic instrument behaviour on my links and resources page now!